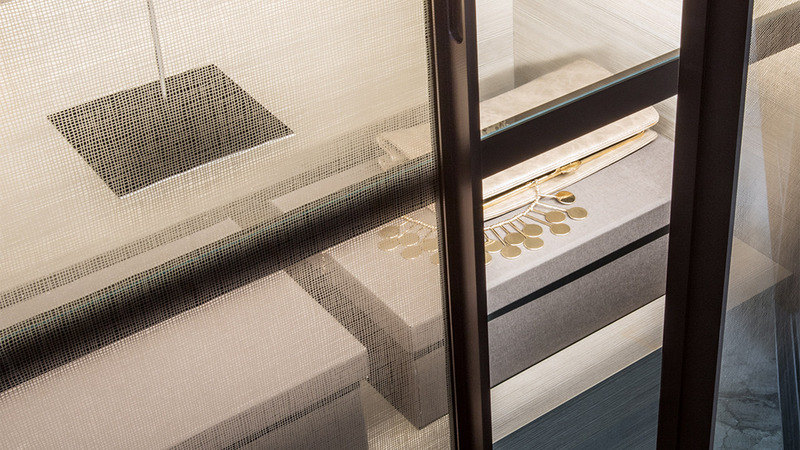 Italian excellence combining innovation and tradition with today’s cosmopolitan aesthetic. 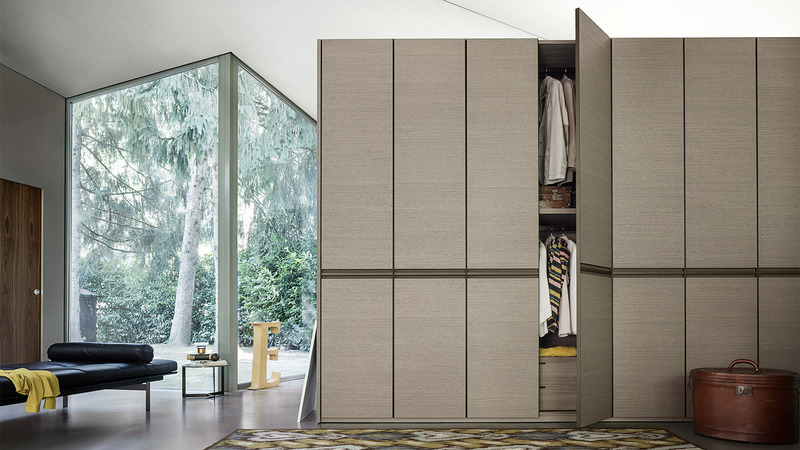 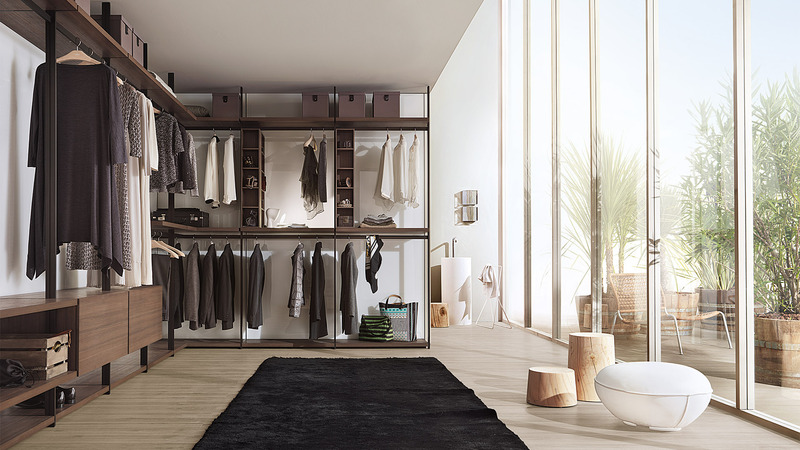 Coplanar wardrobes offer a unique union between technology and aesthetics. 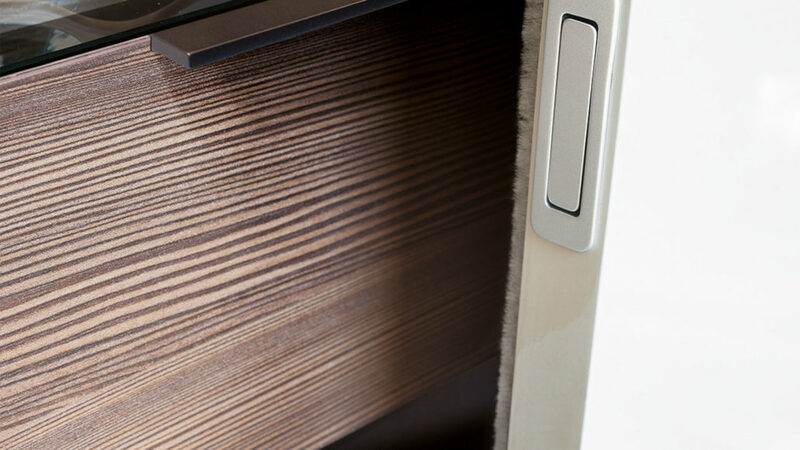 To open, pull the doors out and slide open seamlessly for a truly modern experience. 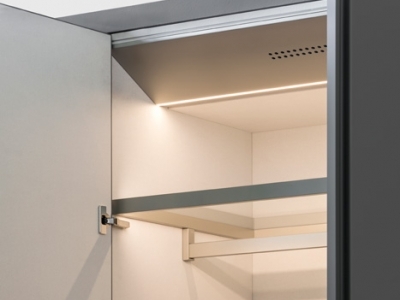 This technology creates a perfectly flat surface when the doors are closed, with no protrusions or recesses. 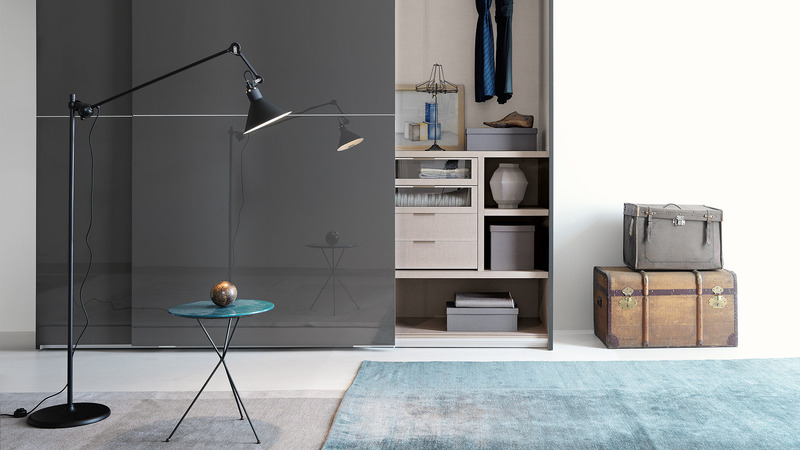 These contemporary designs are available in over 40 matte or glossy lacquered colours, whilst there are also various possibilities of customization for the interiors. 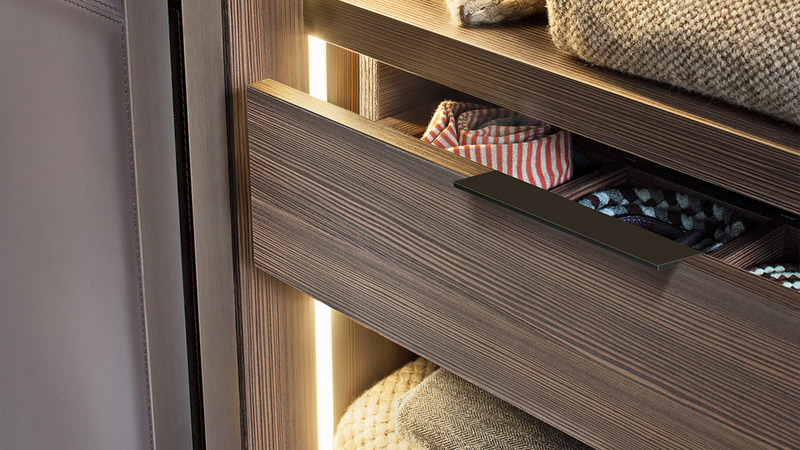 An extensive range filled with different types of drawer units fronted in glass or wood allows you to embellish your solution with the glass display case for belts and ties, or the incredibly practical option of extractable storage units for trousers, undergarments and shoes. 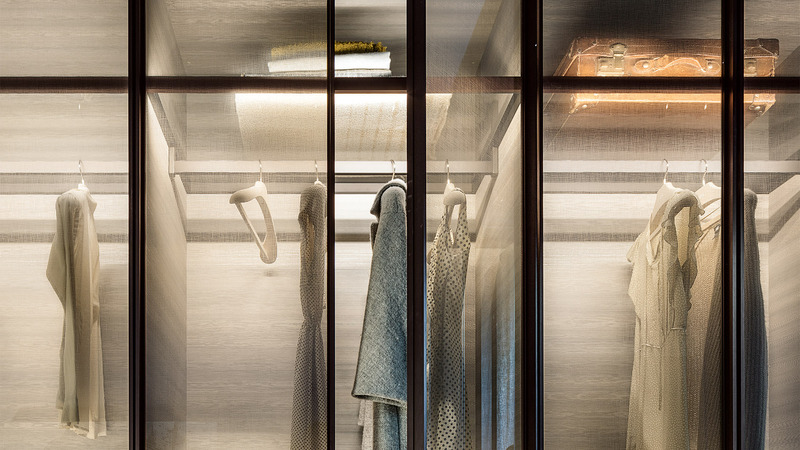 The product range is completed with precious details such as the in-built light for the shelf, the hanging rail, and elegant finishing touches such as the mats in leather and fabric for the drawers, or the leather boxes for shirt compartments. 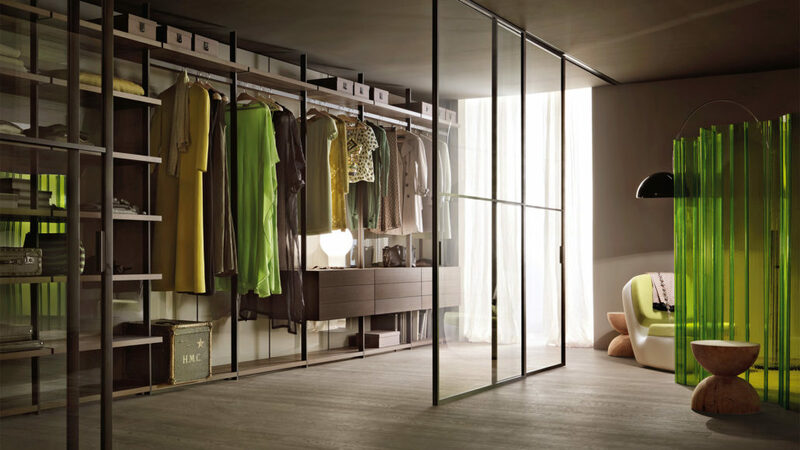 Flexibility not only in terms of sizes, but also in terms of models. 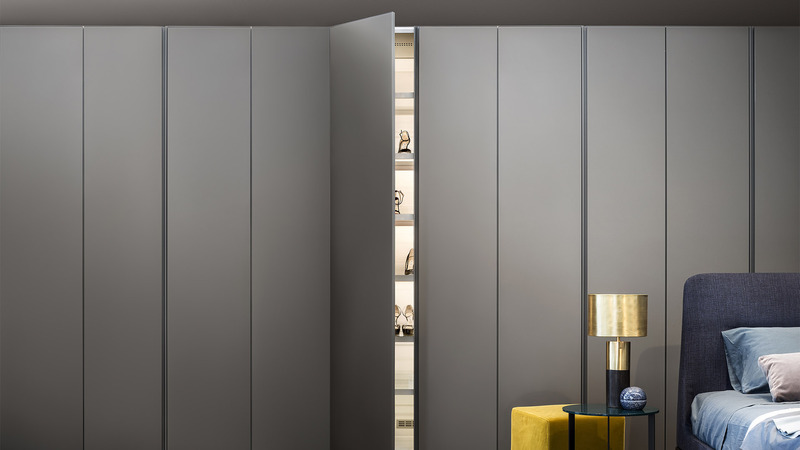 LEMA’S hinged wardrobes, made to any measurement offer a modular and customisable storage solution without compromising on its design. 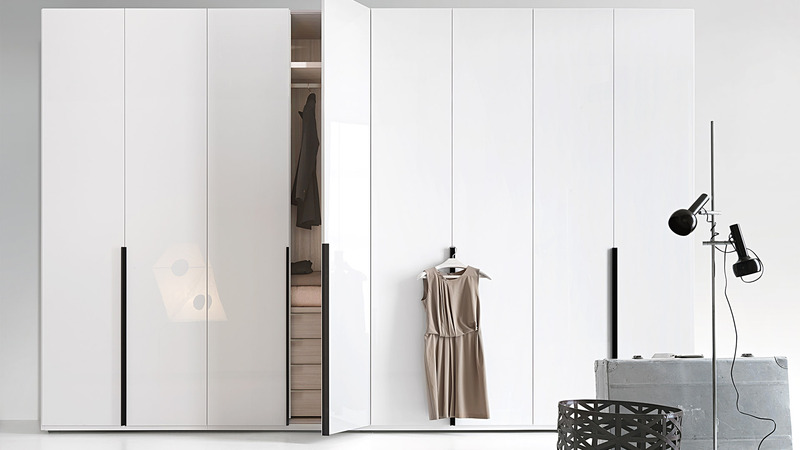 Choose from a range of door types, height, width, depth and finish to fit your space and satisfy any aesthetic need. 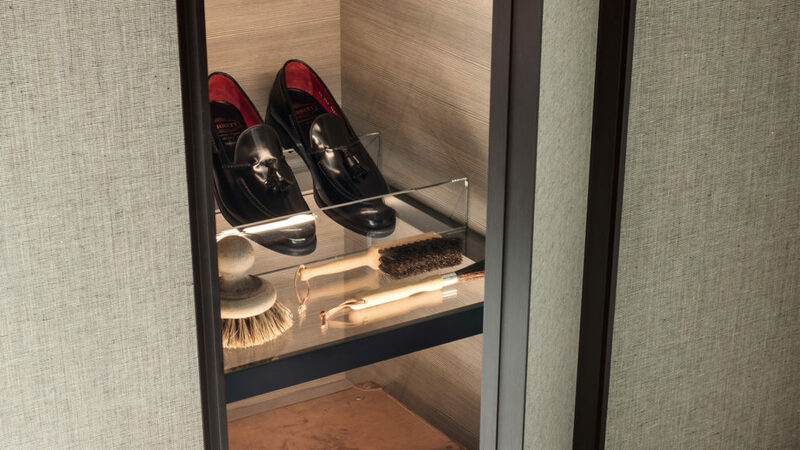 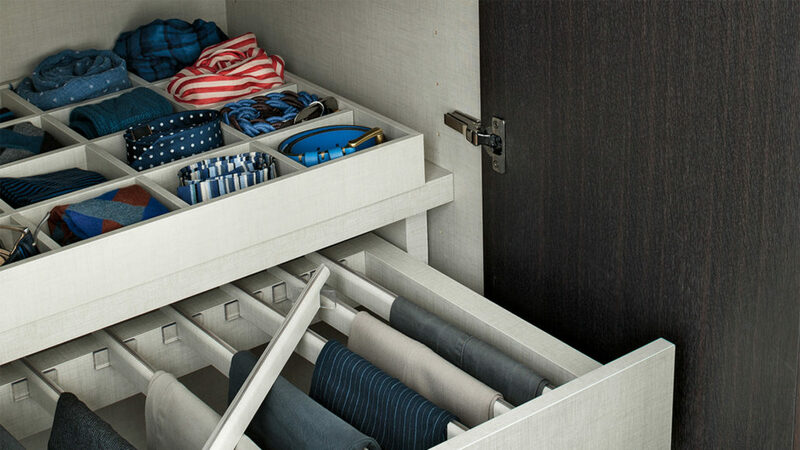 Express your personal and décor style with different types of drawer units fronted in glass or wood, glass display cases for belts and ties, or opt for the incredibly practical option of storage accessories for shirts, trousers, undergarments and shoes. 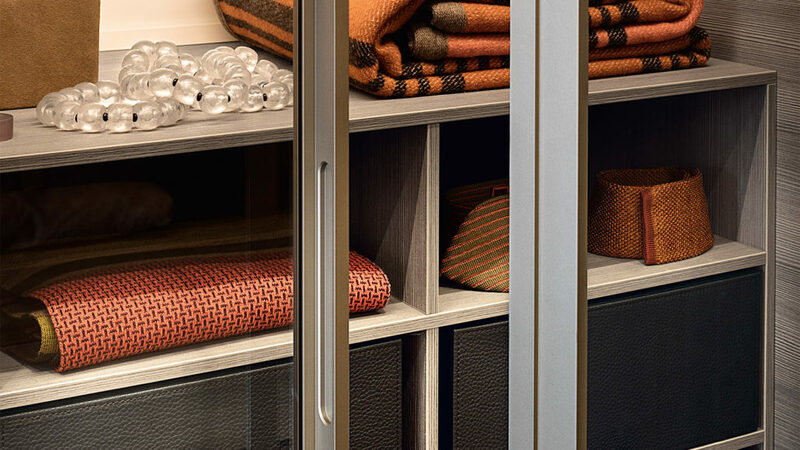 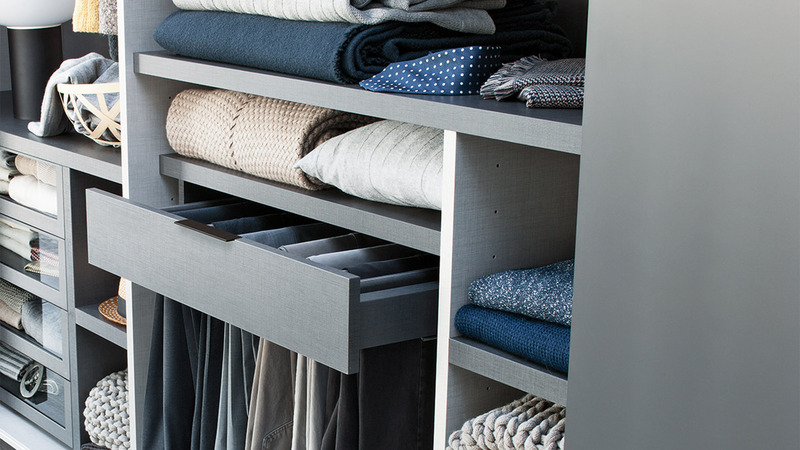 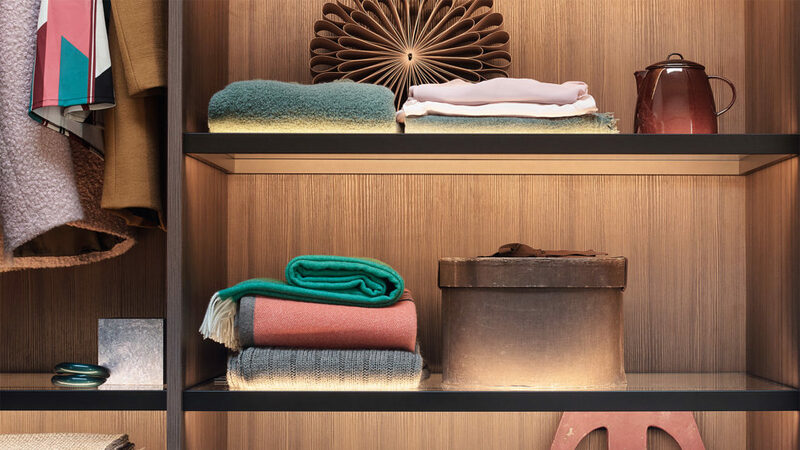 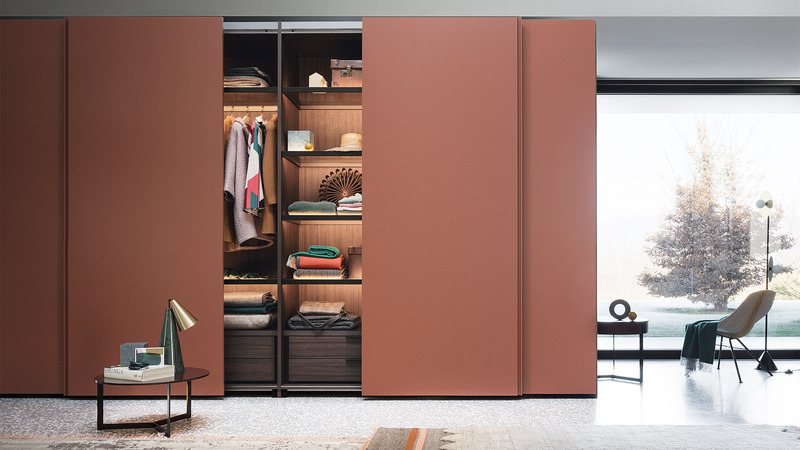 The product range is completed with carefully planned details such as built-in lights, extractable rails to hang clothes, and elegant finishing touches such as leather and fabric drawer mats. 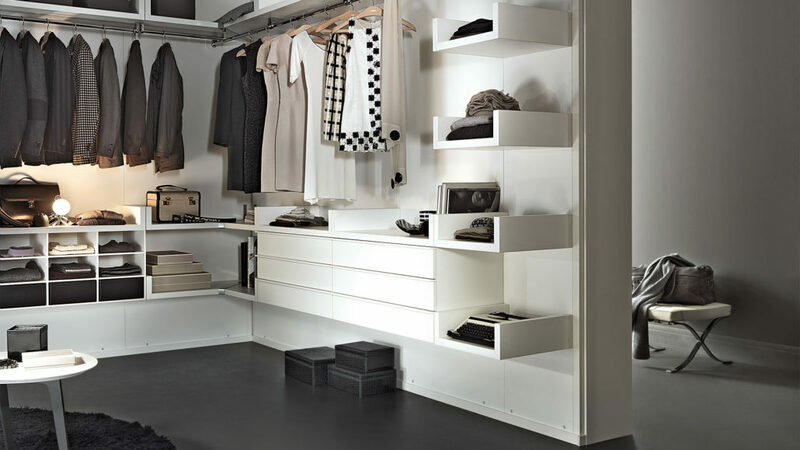 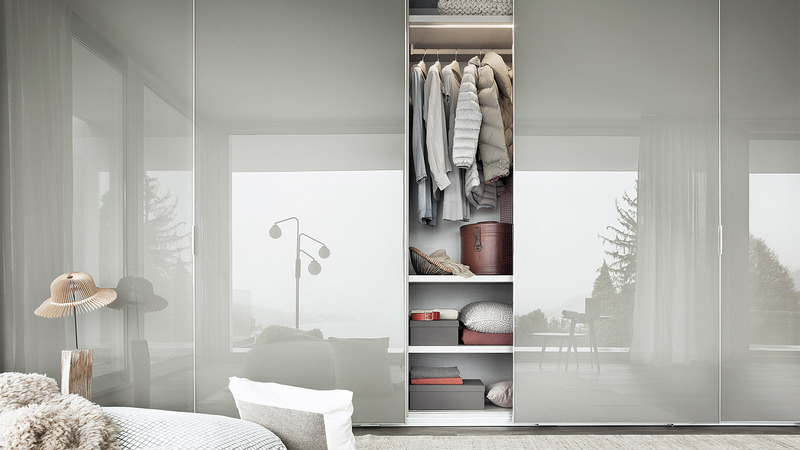 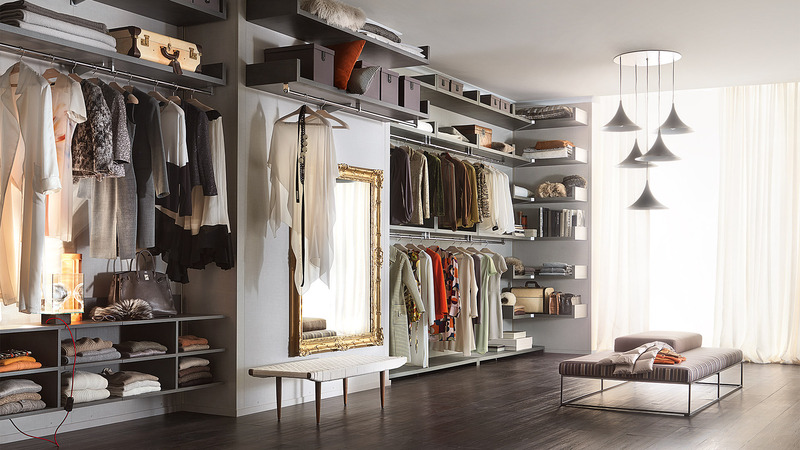 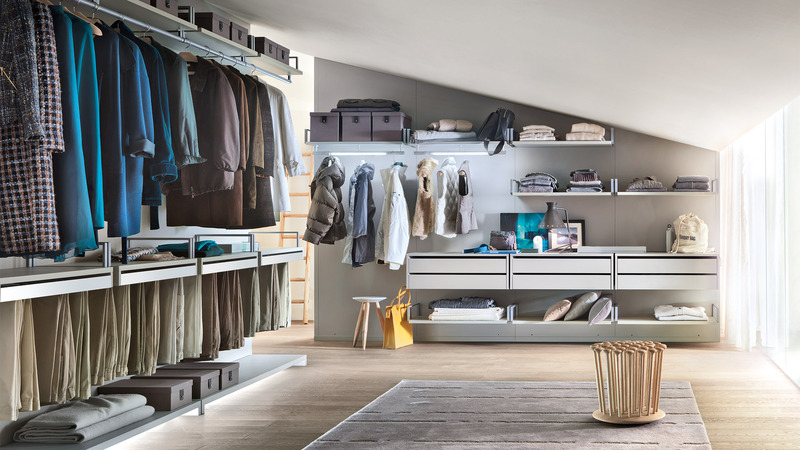 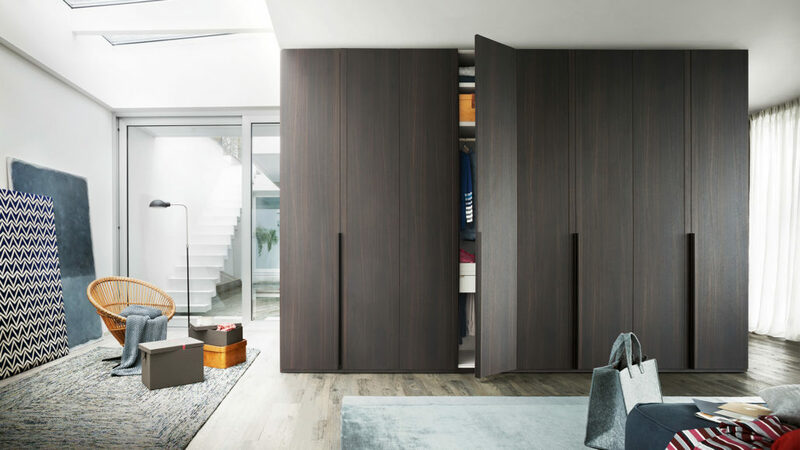 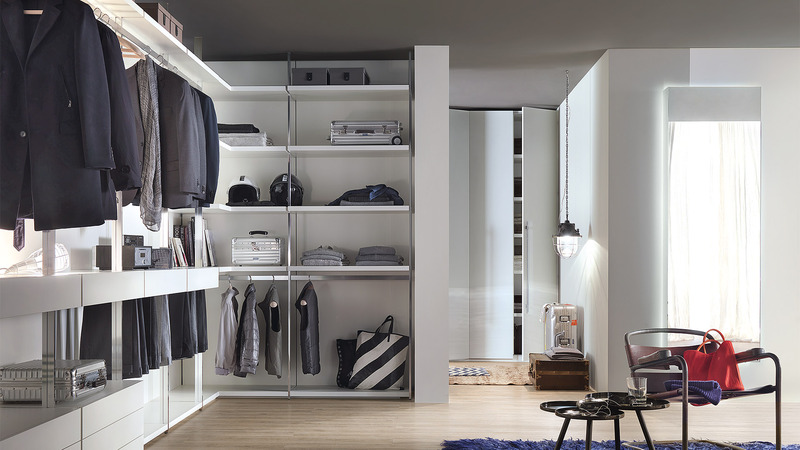 LEMA closets with hinged doors are ideal for corner placements, bridge solutions, passage solutions, niches and attics. 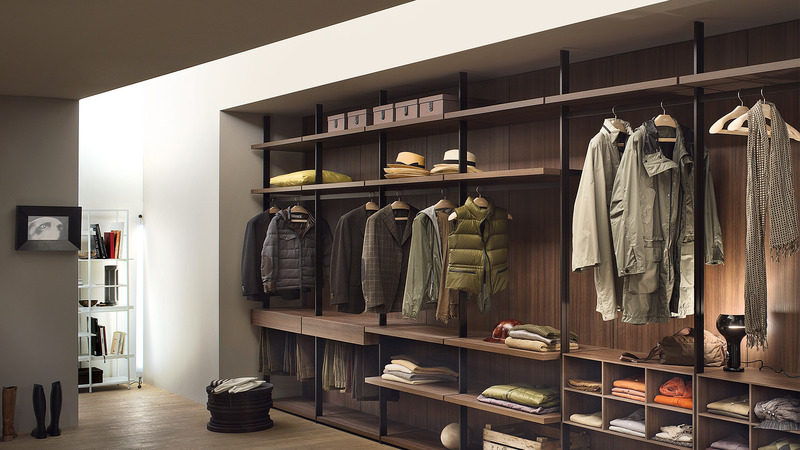 It is also possible to change the depth of single columns simply by using pilasters. Or you can add optional exterior drawer units and TV niches to the system. 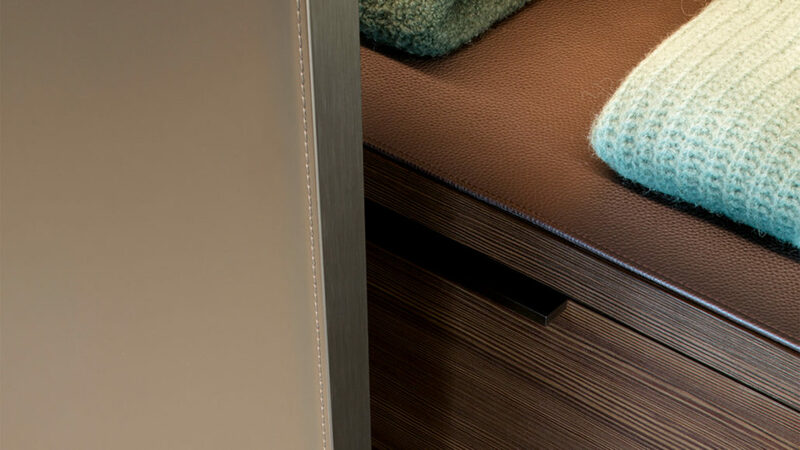 Values of well-being, technological efficiencies and unrivalled craftsmanship. 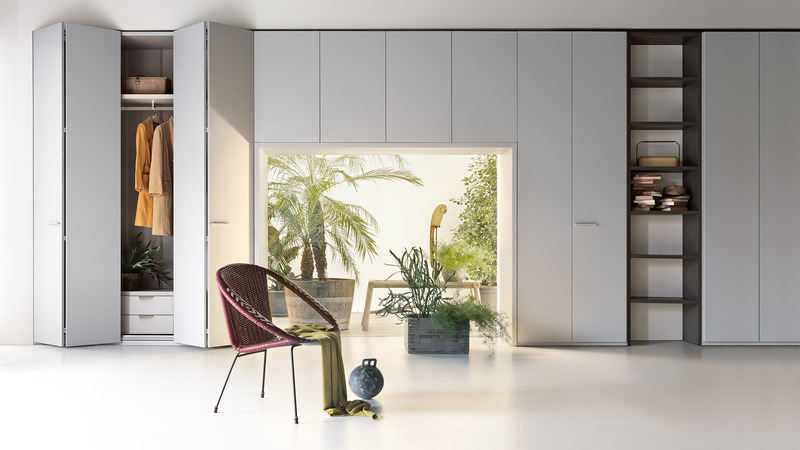 To rationalise narrow spaces, LEMA has created numerous sliding door solutions. 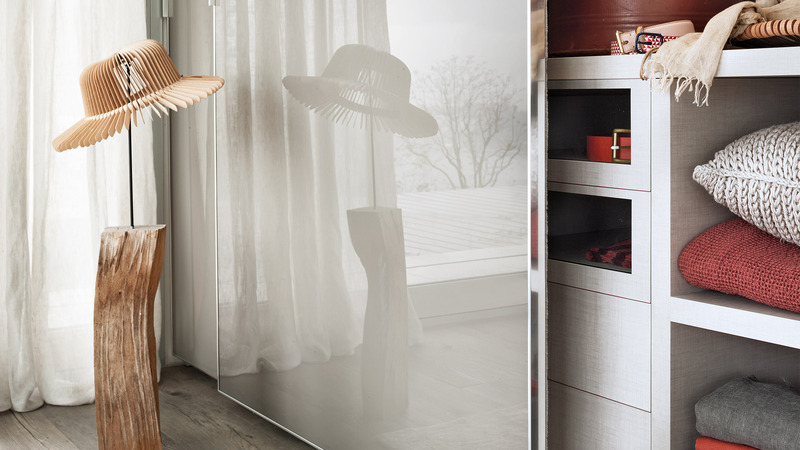 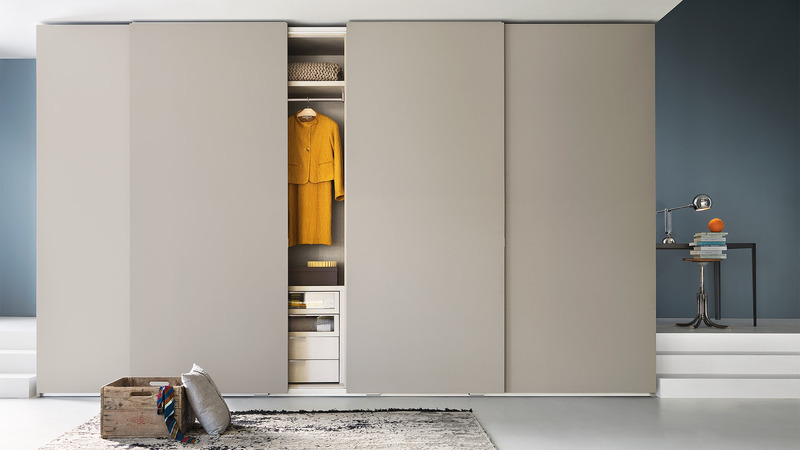 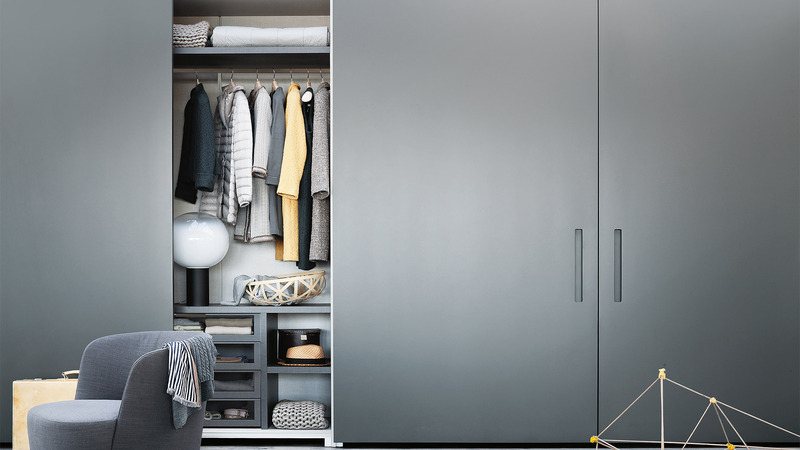 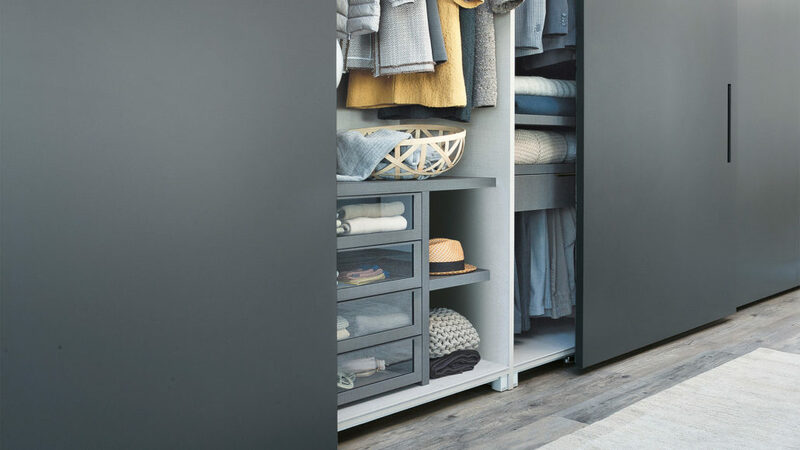 LEMA’S sliding door wardrobes offer focused flexibility not only in terms of size, but also in terms of materials, components, finishes, accessories and equipment. 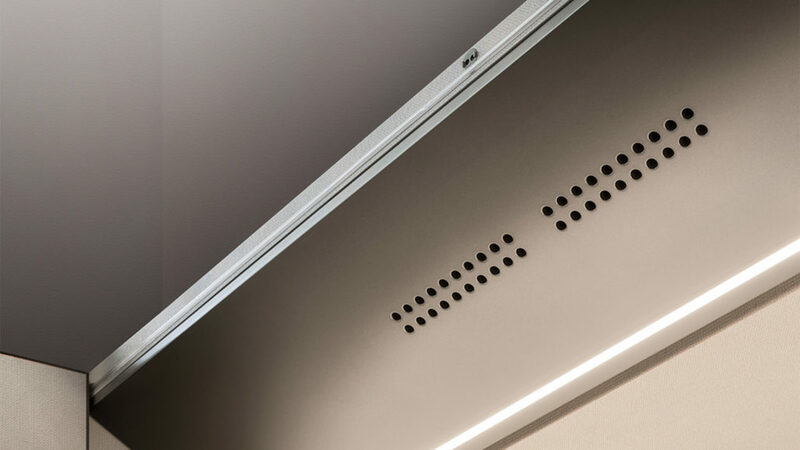 These design are developed around basic modules that can be adapted in height, width and depth. 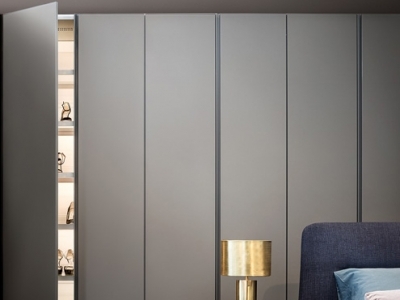 Different types of doors in wood, glass and leather that can be matched to metal or wood frames, all available in over 40 matte or glossy lacquered colours. 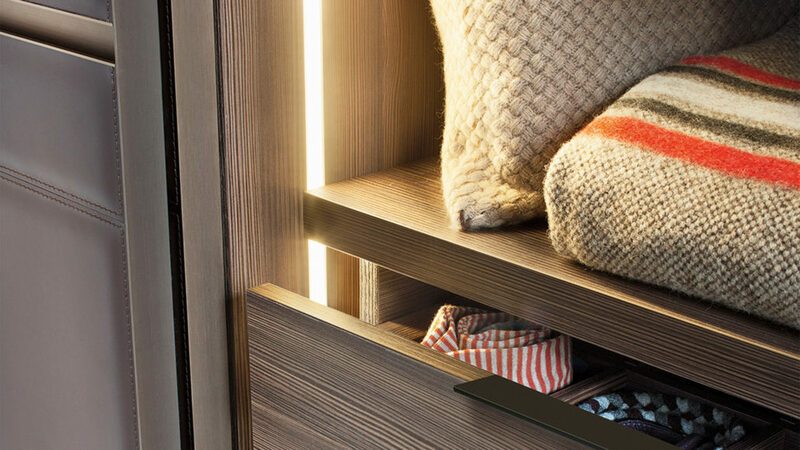 A rich collection of handles also allows creative embellishing of each wardrobe, expressing the uniqueness of your style in a personalised way. 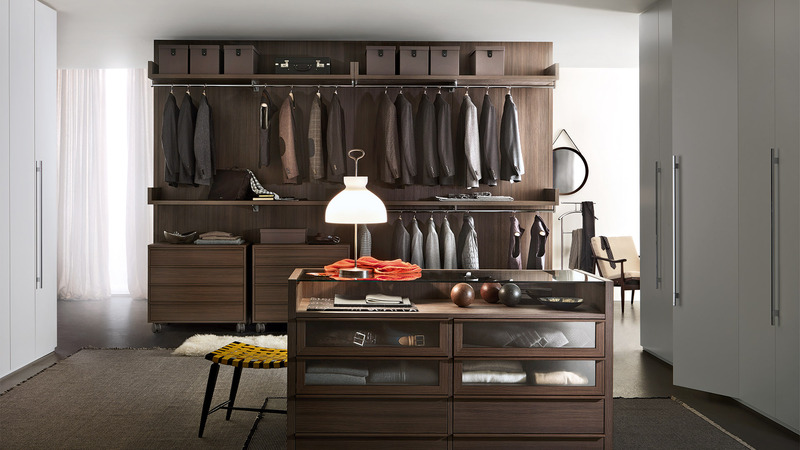 The selection of interior equipment is also assorted, ranging from drawer units and glass vanities to store belts and ties; extractable trousers hangers, undergarments and shoe racks; and shelved with built-in lights and luminous side strips. 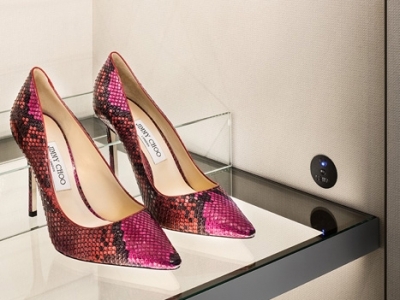 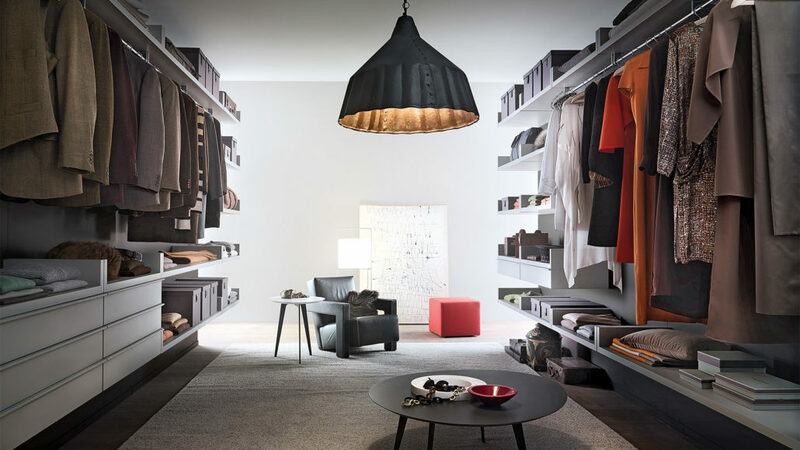 A living and dressing area, a tailor-made refuge. 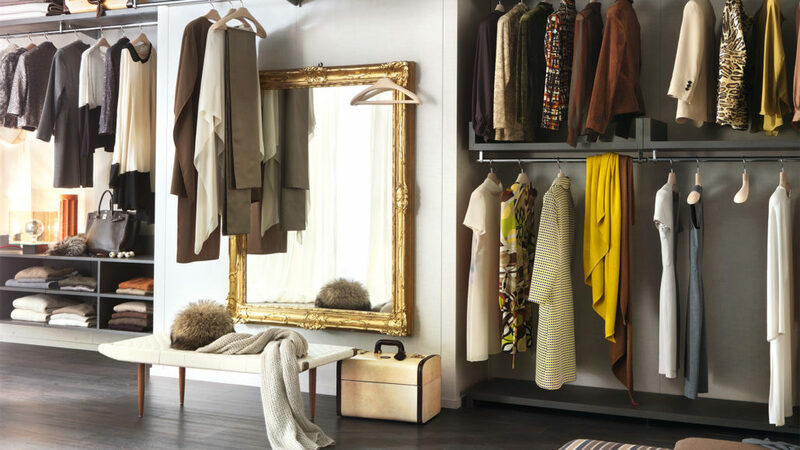 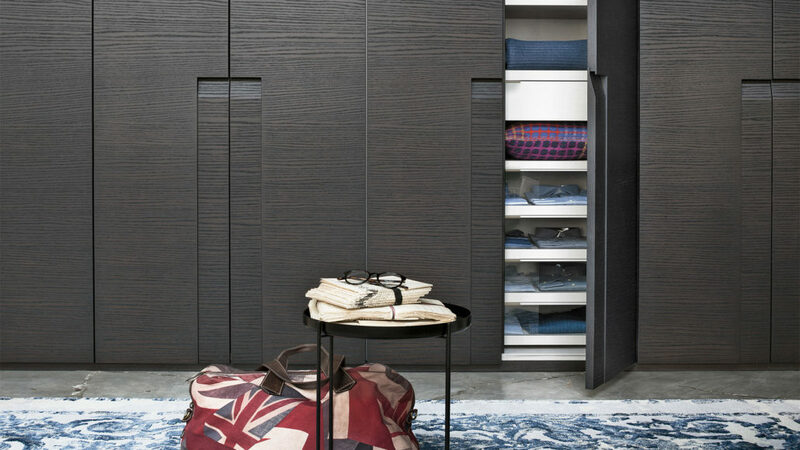 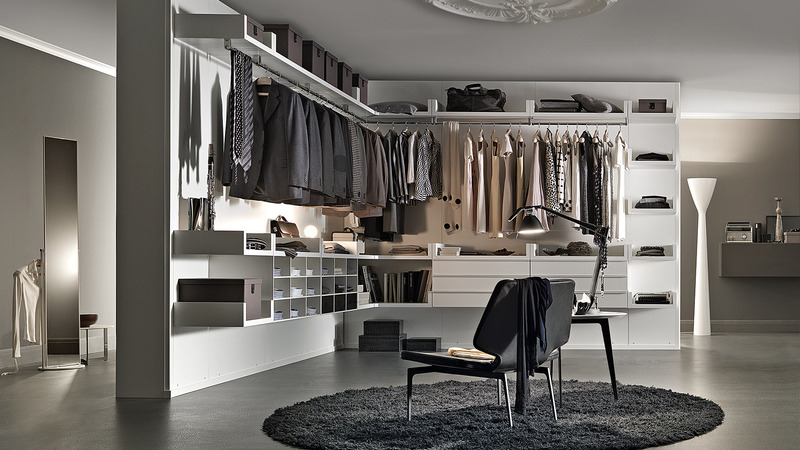 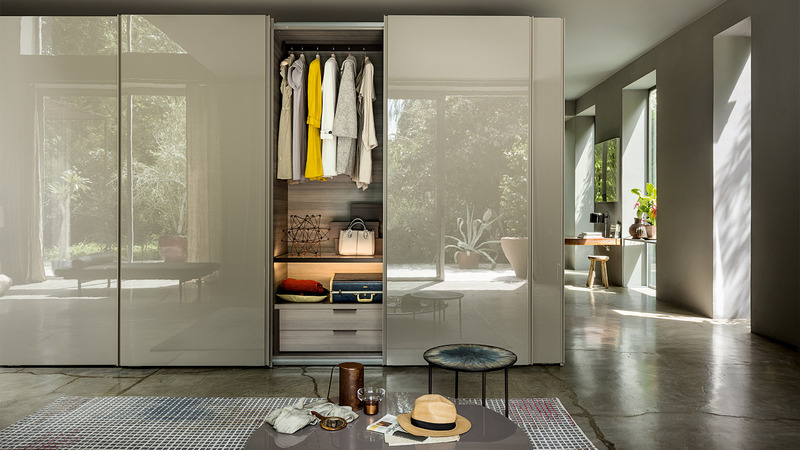 For LEMA, the walk-in closet does not only represent luxury but also a state of mind and lifestyle that embraces personal spaces. Objects, lights, materials and geometry harmonize in creating an intimate and engaging atmosphere. 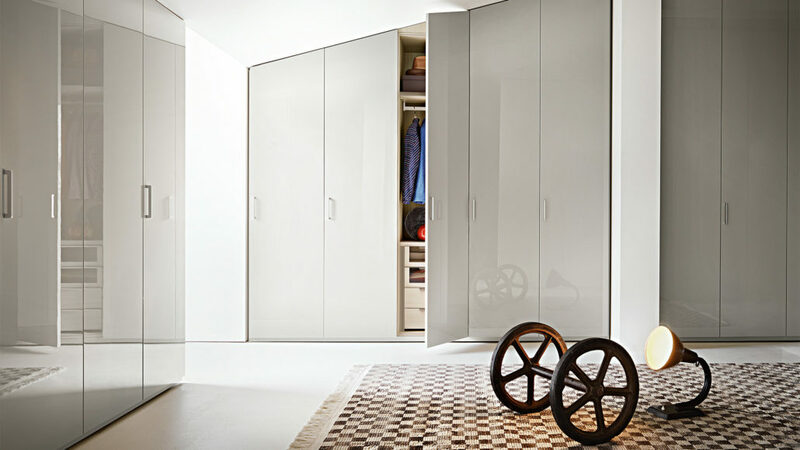 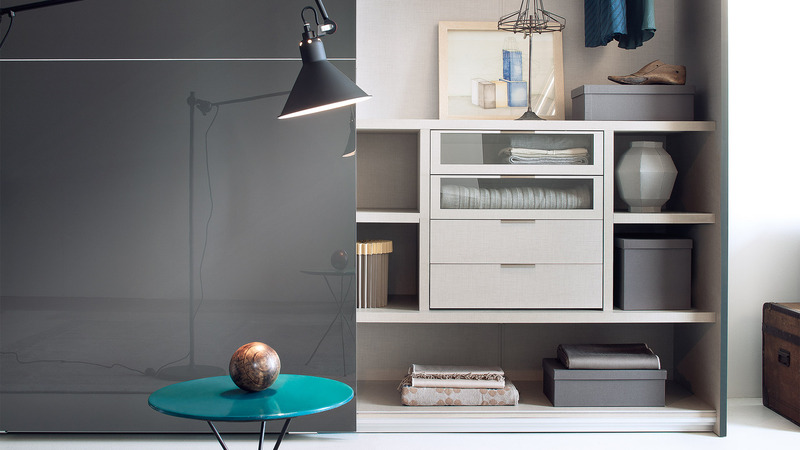 Shelves, bases, drawer units, components, equipment and accessories can all be combined for unique customisation and the desired walk-in experience. HANGAR, by Piero Lissoni, is intended to store and organise daily objects inside a spacious area that is functional, beautiful and comfortable, where the various elements are inserted along the refined metal frame. 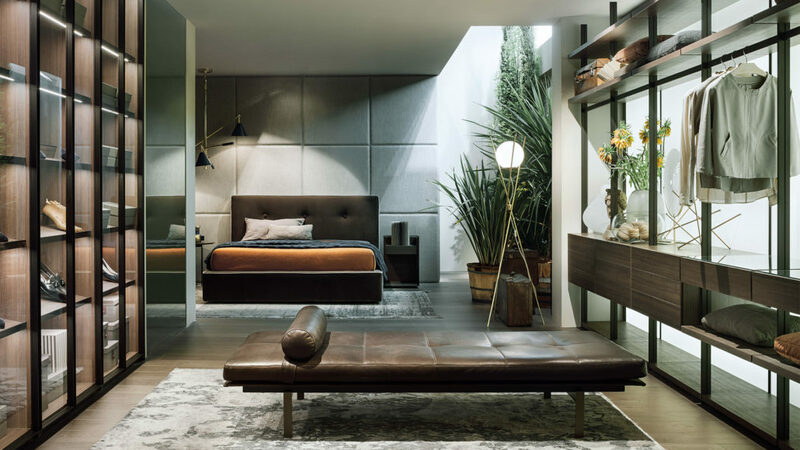 NOVENOVE by Officinadesign LEMA, is cosy and classic. 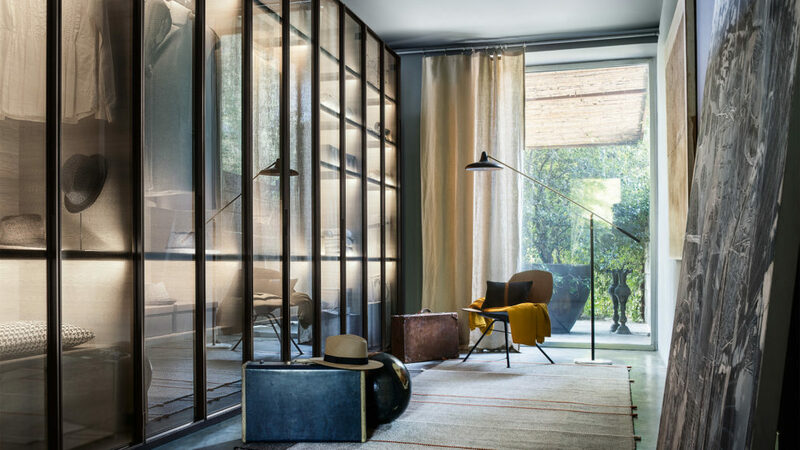 Characterised by an informal style, it is able to furnish all environments, from antique spaces, industrial areas and modern rooms, optimising the space with a harmonious touch. 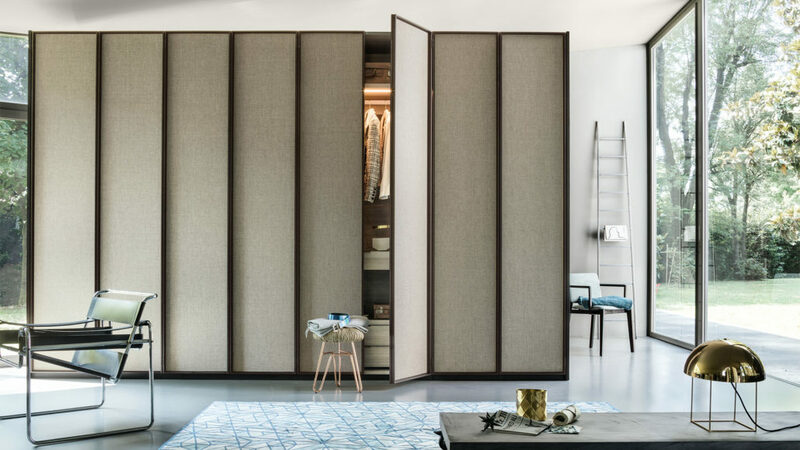 OPEN by Officinadesign LEMA is an immersive, large, functional closet, designed to incorporate seating and dressing areas and to display the owner’s fashion and pieces in an artistic yet practical way. 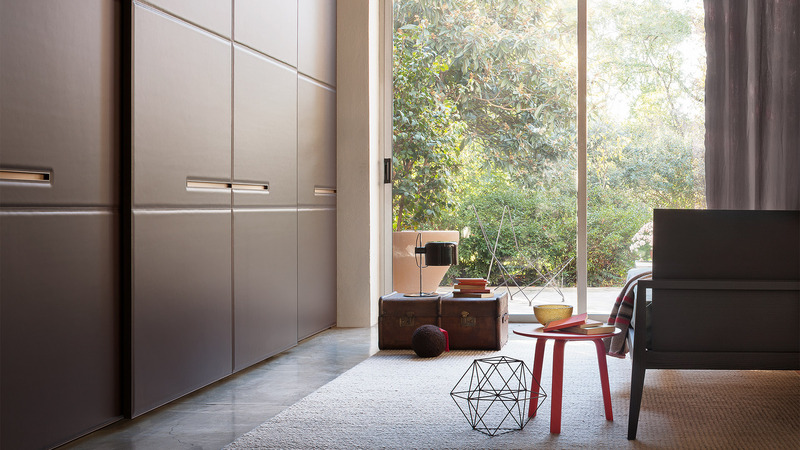 Contemporary, organised and suited to both modern and classic homes, the system is a functional addition to interior life. 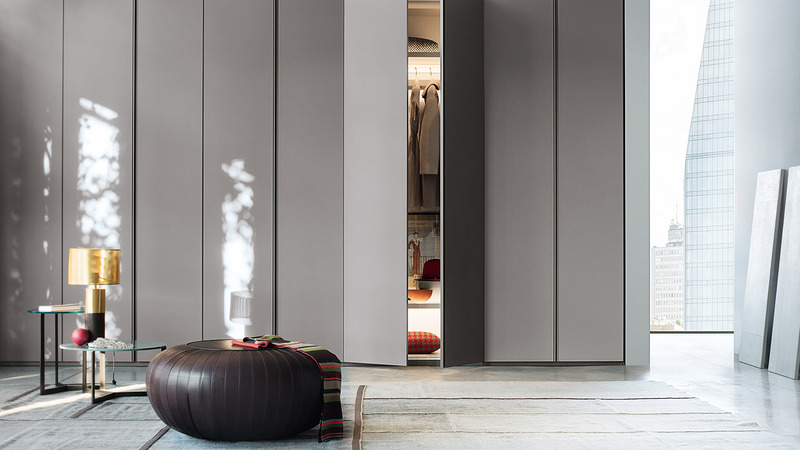 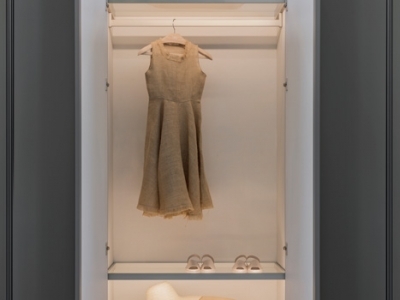 The first to launch a free-standing wall system and then a tailored configuration like Armadio al Centimetro, Lema today claims another first: the innovative and patented LEMA Air Cleaning System, which revolutionises the concept of the wardrobe, making it play for the first time an active role in sanitizing clothing, footwear and any other object contained in it. 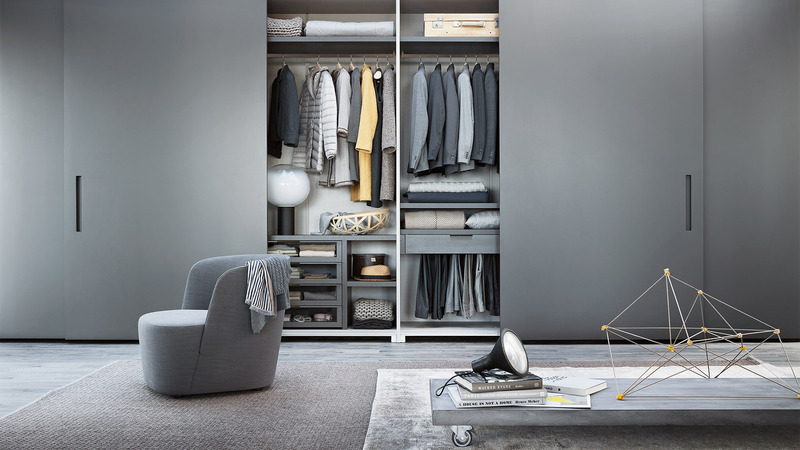 We spend a great deal of our busy daily lives in environments outside our homes, in places such as offices, public transport, shopping centres, restaurants, hotels and gyms, where the quality of air is poor due to inadequate recycling: bacteria, allergens, moulds, carbon monoxide, particulate matter that permeate our clothing generating bad odours. 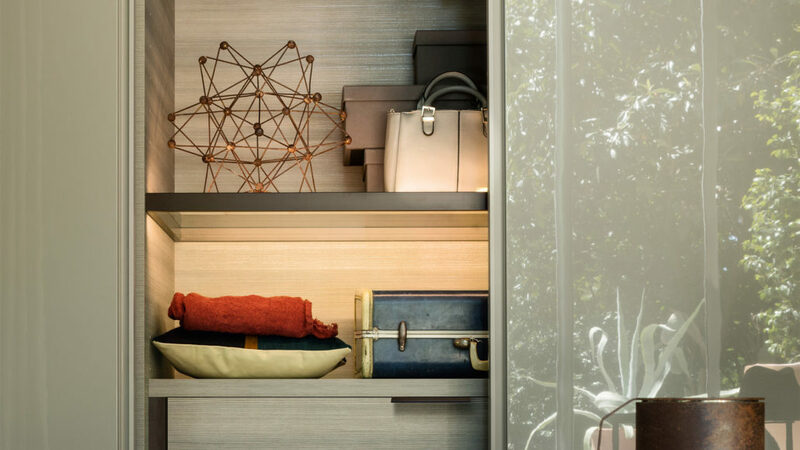 Mindful of this intense contemporary lifestyle, Lema directs ever-greater attention to its clients, focusing on improving our well-being. The outcome of more than twelve months of researches and a world exclusive, LEMA Air Cleaning System uses nanotechnology and a special UV lamp to generate a photochemical reaction that naturally destroys pollutants, bacteria and mould, purifying the inside of the wardrobe and eliminating more than 90% of bad odours emanating from the stored clothing and footwear.